Once again, Rush continues its tradition of trials and testing in anticipation of the four-season terrarium planned for inside the Edward A. Brennan Entry Pavilion. The curved glass terrarium, which is the centerpiece of Rush’s new “front door,” will be 52 feet high and 32 feet wide. It will extend through the roof of the three-story entry pavilion, be opened at the top and exposed to the Chicago elements. In order to ensure that the only exposure our patients and visitors have to the wind, rain and snow when they enter the new hospital is visual, we have enlisted the help of engineers in Catawissa, Missouri. They are in the process of constructing an 18-foot-wide by 21-foot-high vertical section of the terrarium using the custom-made curved glass and self-supporting steel frame that will be used for the actual project. Once this mock-up is built, they will perform wind and structural loading tests, as well as simulated rain tests, to assure that the structure is stable and that the glass doesn’t allow any rain or moisture to leak through. The testing will begin in mid-January and last eight days. Upon completion, any necessary modifications will be made and construction of the actual terrarium will begin. 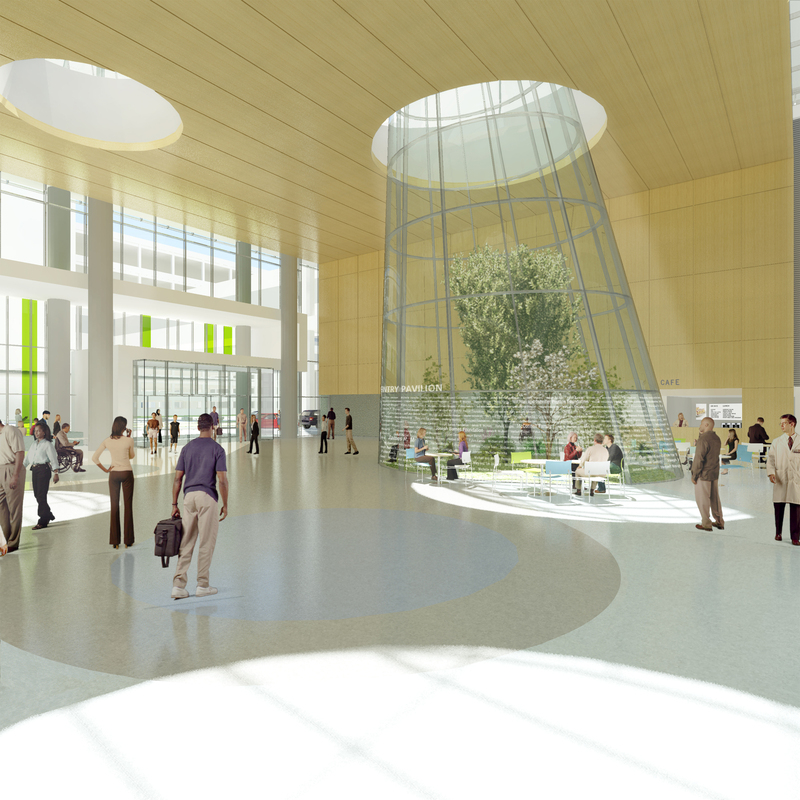 Mock-ups have been instrumental to the Office of Transformation in guiding the design and construction of the new hospital. To learn more about the countless performance tests that have be conducted, visit transforming.rush.edu. Cynthia Castronovo is associate director, Internal and Transformation Communications, for Rush University Medical Center. She contributes regular updates about the Rush Transformation. This entry was posted in New Hospital Building, Rush Transformation. Bookmark the permalink.